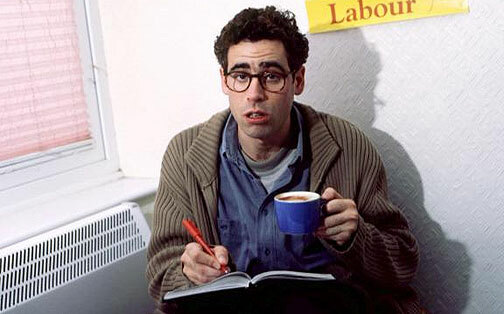 This week I read, in fits and starts, Ugly Dave Grays’ autobiography. Dave is a born entertainer, someone used to doing things ‘his’ way, because his way gets results. But, as is the case with a lot of stars, and sportsfolk, they are really only good at one thing, and Dave’s is making people laugh. He used to make me laugh as a boy, and later when he was doing those ads for shonky nasal spray ‘medication’ for impotent chaps. Sadly, what Dave is not, is a writer. The book, ‘It’s Funny Being Ugly’ is a glaring testimony to this, and another case for people to stick to what they are best at, and hire others to do the heavy lifting on the other projects. I can’t help but think that a half decent ghost writer would have made a big difference to sales of this book, and possibly reinvigorated Dave’s aging career. Another example from a similar time was Lee Iaccocca’s biography. Lee’s first book, written by an unknown ghostwriter with real talent and skill as a wordsmith, was a runaway success. Lee’s second book, written by himself, possibly to save money, was a flop. A real stinker that read like a snotty teens’ journal. On the other hand, a comedian turned writer who does have some writing talent is the 7PM Projects’, Charlie Pickering. 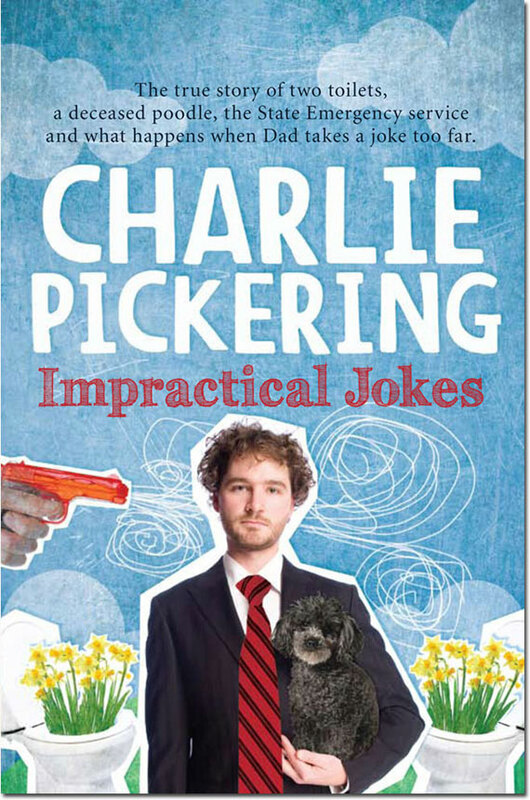 I actually did Laugh Out Loud (quite often) reading his book, Impractical Jokes, a rollicking yarn involving young Charlie, his father, and his fathers’ best friend engaged in a funny suburban vendetta of topping eachothers’ practical jokes. It was witty, insightful, immature, unbelievably funny, and I can’t recommend it highly enough! But back to Ugly Dave Gray, who is from a generation that learned to make do with whatever came their way, and survive, and succeed. Honestly, how many of today’s comedic stars could hold their own in the brutal world of clubs and corporate gigs year after year. Dave’s tenacity, coupled with talent, and a hell of a lot of hard work made him successful first in England, then here in Oz. Whereas Charlies’ generation is made up of people who want the big time without putting in the necessary grind to earn it. It must piss Dave off quite a lot to see that they are getting exactly that! I couldn’t imagine Charlie working 5 nights a week on his TV show for $75 per episode like Ugly Dave did for two years on Blankety Blanks. Even factoring in inflation rates, Dave’s earnings were pitiful by comparison. Still, it put his name up there, and that got him work. Those meagre earnings were probably why he couldn’t afford a good ghostwriter… which begs the question, perhaps it’s best to not write at all? But there is more Adrian about me than I’ll admit. Ado and I are approximately the same age, we share a love of reading, a slightly distorted view of reality, and an inbuilt sense of duty, which means we ‘do the right thing’ even though we grumble about it. Add to the list, total self absorption, selfishness, poor dress sense, and an almost pathalogical self belief/optimism regarding our writing abilities. So, reading his diaries is sometimes a little too close to the bone. Anyway, I along with the rest of the planet, believed Sue had finally written Adrian a happy ending at the end of “‘Adrian Mole and the Weapons of Mass Destruction”. He had married a beautiful woman, lived in a converted pigsty, had a great job at a small bookshop, and was, possibly for the first time in his life, Happy. So, you can imagine my surprise last week while shambling through the library, I came across “Adrian Mole – The Prostate Years”. I took it home, and devoured the next chapter of Adrians’ life in less than a day. The poor bugger has once again been struck by the Fickle Finger of Fate and the extremely Dirty Digit of Destiny. Ado has prostate cancer. His marriage is on the rocks, the bookshop is in trouble, he is still being hounded for back taxes, and his son is still at war, this time in Afghanistan. I won’t tell you how it ends, but it looks as if this won’t be the last Adrian Mole book. Unless, of course, Sue is forced to stop writing. Recently, her son Sean, the one who Adrian is alleged to be based on, gave his mother one of his kidneys, so Sue, at the age of 65, may not have much time left to produce another Adrian title. It’s a sure bet she won’t be around long enough to put him into a retirement home! I look nothing like this… I don’t even own a woolly cardie!